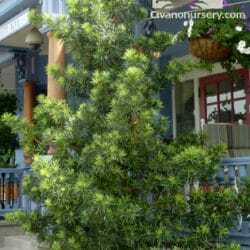 The very upright, columnar tree known as the Yew Pine has lustrous green foliage, reminiscent of pine or true yew trees. It tends to be slow growing, which makes it a great choice for easy hedging or pruning into round and square shapes. Feeding young trees with a balanced fertilizer can help to encourage faster growth, if desired. Part to full shade is ideal for this Japan-native and it does beautifully in dark, narrow spaces. 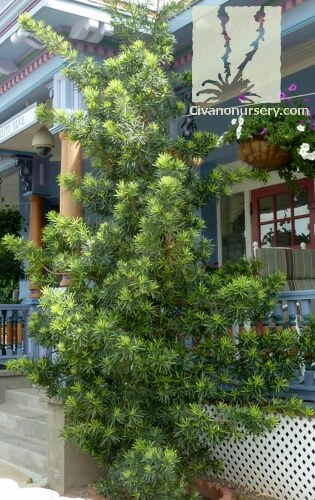 Yew Pine’s dense foliage makes the perfect privacy screen in a well-shaded area. 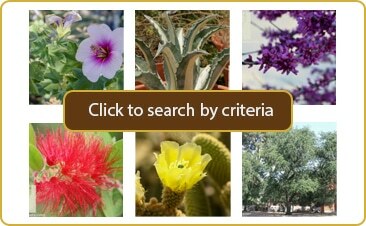 The flowers are inconspicuous in the spring; in fall on male trees, you’ll find small, edible purple cones, and on female trees, you’ll find small, attractive and dark, but inedible fruit.